Фотобанк Rusmediabank – лицензионные Фото, Видео, Музыка - 3D alphabet font. 3d effect letters and numbers in white and yellow with shadows. Stock vector typescript for your typography design. 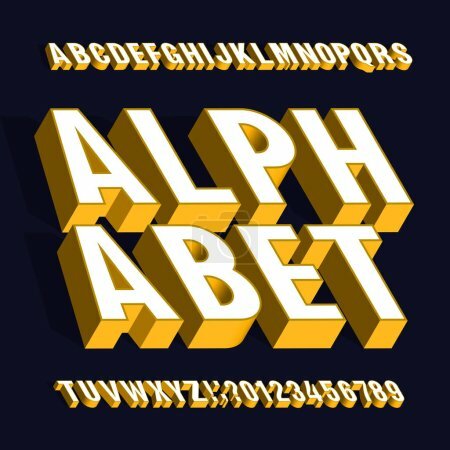 3D alphabet font. 3d effect letters and numbers in white and yellow with shadows. Stock vector typescript for your typography design.